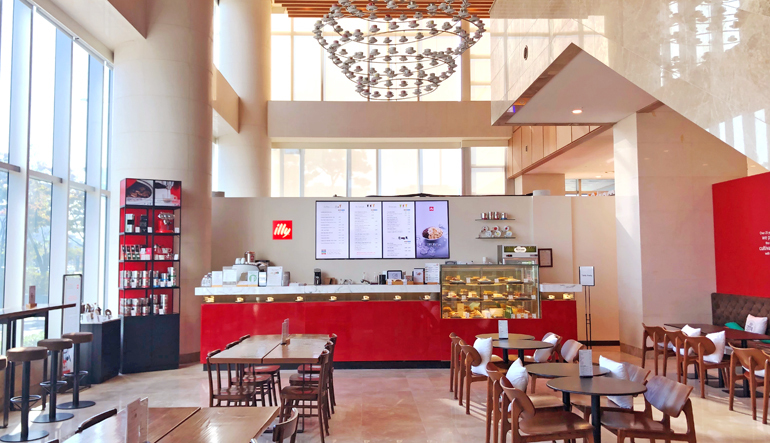 Located in the lobby lounge of ORAKAI Songdo Park Hotel, illy CAFFÈ offers a variety of deep flavor roasting coffee with a wide selection of brunch menus. With its characteristic Italian ambiance, illy CAFFÈ represents the best of Italian espresso and is the perfect place to meet with friends, family and colleagues for a premium coffee and light meal. 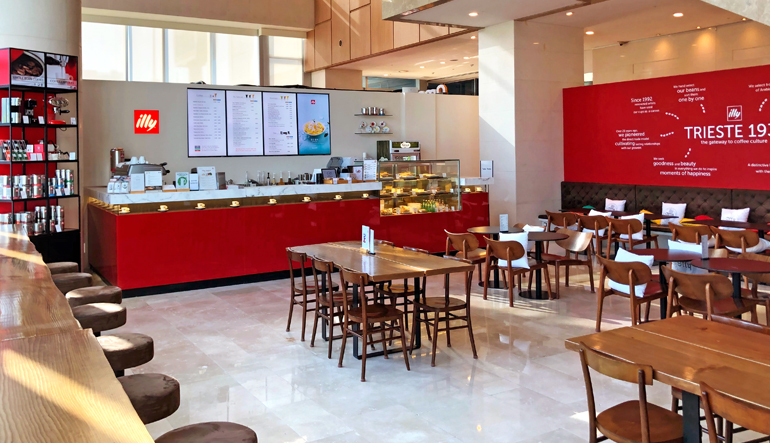 illy CAFFÈ also offers private dining areas where you can have business meetings or perhaps a family to get together. Here you have the opportunity to enjoy the ambiance and flavours of the illy CAFFÈ together with the intimacy of your private function.